"...With each poster type up there having their own great qualities, how can we decide which kind to print with? Here's a quick overview to help you out: Bulk posters can be printed on paper or card stock with a glossy or matte finish, and are the practical choice for promotional, full color poster printing since you can order them in quantities of up to 10,000. Large format posters are printed on HP premium photo paper in either semi- or high-gloss, and are great as photo enlargement or retail signs; you can order up to 50 of them in one order. Mounted posters are printed on 1/8" thick white PVC board and have a maximum order quantity of 50 pieces; you can display them as soon as you receive them from us!..." Get quality poster printing from reliable online printing services. 1 of my lucky readers will win a 18” x 24” Poster! MANDATORY ENTRY: “Like” UPrinting on Facebook! 4. Follow me on Networked Blogs. 5. Follow me via GFC. 6. 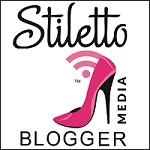 Add my new button on your blog! DISCLAIMER: I was not compensated for this post, I received a free sample from UPrinting.com and wrote my review based off of the sample. The opinions stated above are mine, and mine alone! This would be for my mom if I won! I liked UPrint on facebook. This would be for my college age son. He is a good photographer and is traveling this summer. Would like to blow up his photo. I make a poster for grandma with the grand babies on it. I'd love to make a sign to advertise at a craft fair next month!